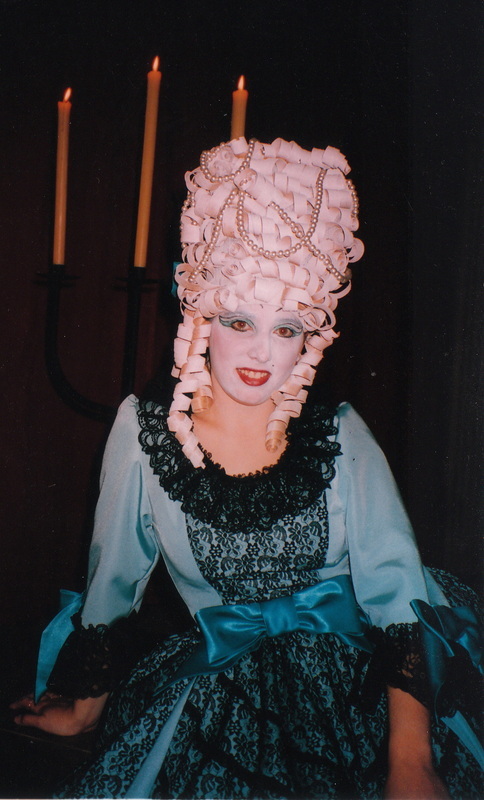 The brief: A neutral palate was to be used for set & costume. All costumes would be made in calico, the set design incorporated a single, bare tree. 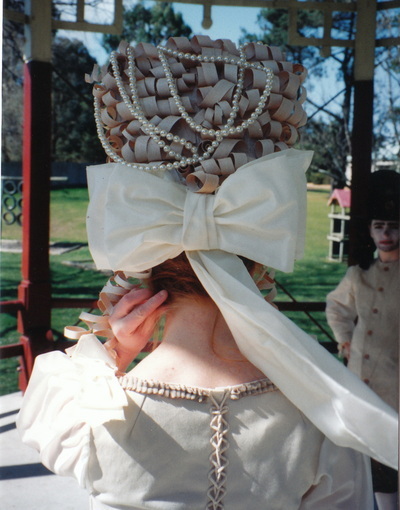 I chose to use organic materials for the wigs & hats, these included planed wood curl offcuts for wigs and twig, cane, rope & bamboo as hat embellishments. 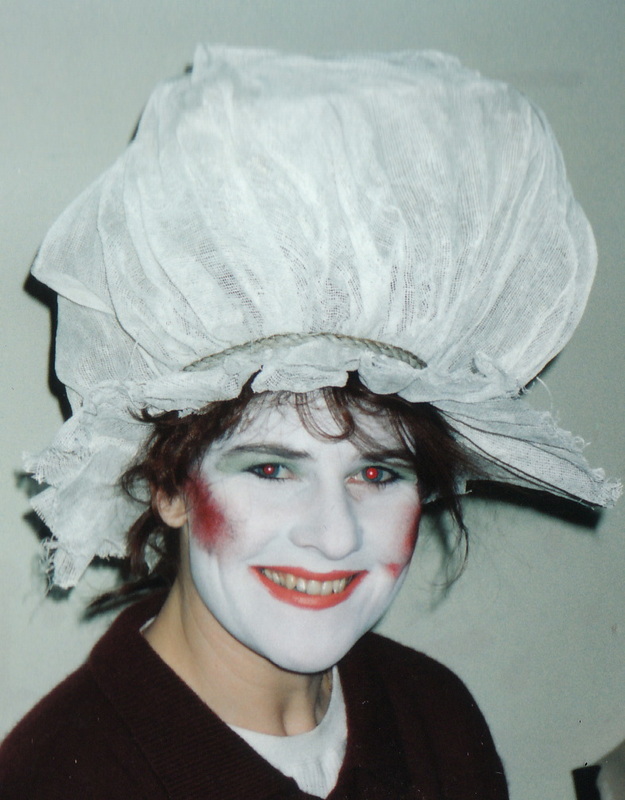 Winner of 'Best Costume', Royal South Street Competitions, Her Majesty's Theatre, Ballarat. 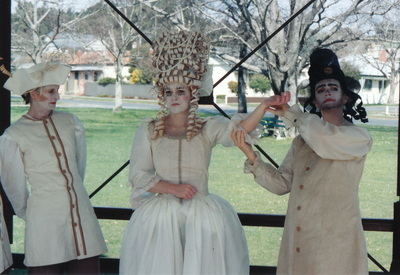 Produced by Ballarat National Theatre.